Most baby boomers plan to work well into their golden years. The baby boomers’ march into retirement is a major demographic trend that naturally attracts research. The following studies of pre retirees’ and retirees’ attitudes and behaviors provide interesting insights that can benefit your retirement advisory work with clients. You’ve probably noticed more of your clients expressing a wish to continue working in some capacity past the “normal” retirement age. Their motivations will vary, but their desire to keep working is part of a growing trend. In August and September 2013 the Associated Press-NORC Center for Public Affairs Research surveyed more than 1,000 U.S. adults ages 50 and over. The survey confirmed an ongoing shift in Americans’ ideas about retirement and found that workers are retiring later and are often not retiring completely. The line between working and retirement is shifting for Americans ages 50 and older, with many currently or expecting to continue working for pay during retirement. 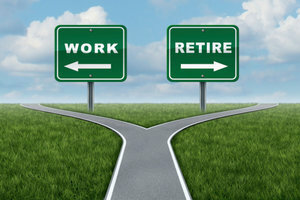 Among those who are working and not yet retired, 47 percent said it was very likely that they will do some work for pay during their retirement and another 35 percent said it is somewhat likely. Respondents gave both financial and nonfinancial reasons for their plans. Matt Sedensky, a Fellow at the Associate Press-NORC Center for Public Affairs Research in Chicago and one of the study’s co-authors, notes that it’s been known for some time that the retirement age was moving higher. The study helped put a number on that trend, however. The average retirement age has shifted since the beginning of the Great Recession in December 2007. Among those who reported retiring before the Great Recession, the retirement average age was 57. That age increased to 62 after the recession. The authors concluded this trend is likely due to a combination of diminished retirement savings during the bear market and lengthening life spans. But a look back at history shows that working later in life is not a new phenomena, Sedensky said. In the early part of the 20th century, the average retirement age of men was about 73, so it’s not unheard of to have people working to 67 or 68. Although your older clients might be interested in and willing to keep working, the study found that they face age-related challenges, both on the job and in landing a new position. The unemployment stats support this finding. While the overall unemployment rate is relatively lower among older age groups, long-term unemployment is much higher. For workers who lose their job after age 50 and try to find employment with comparable income, “it’s just insurmountable for many of them,” he says. Overall, 20 percent of people 50 or older say they have personally experienced prejudice or discrimination because of their age in the job market or at work since turning 50, including being passed over for a raise, promotion or chance to get ahead; receiving certain unwanted assignments; or being denied access to training or the opportunity to acquire new skills because of their age. Among those who are retired, one-third reported that they did not feel they had a choice except to retire. Feeling like retirement was not by choice is more common among younger retirees, with 54 percent of retirees under age 65 feeling they had no choice but to retire, compared with 23 percent of retirees 65 or over. Twenty-two percent of adults age 50 years and older have searched for a job in the last five years. Of these, 55 percent found the job search to be moderately or very difficult. The retirement income replacement debate has been with us for years. Just how much is adequate to ensure a client’s post-retirement standard of living: 60 percent? 70 percent? 100 percent? Even with these financial shocks to retirement savings from the Great Recession, it was found that, overall, the Baby Boomers and Gen Xers were significantly better off in 2010 than when EBRI first ran its national model in 2003. The primary reason for this change was the adoption of automatic enrollment by a growing number of 401(k) plans (often accompanied by the automatic escalation of contributions). An EBRI analysis in 2011 showed the importance of defined-benefit pension plans in achieving retirement income adequacy for Baby Boomers and Gen Xers who have access to such programs. Overall, the presence of a defined-benefit accrual at age 65 increases the probability of not running short of money in retirement by 11.6 percentage points. The defined-benefit-plan advantage is particularly valuable for the lowest-income quartile, but also has a strong impact on the middle class. In a January 2014 article, Jack VanDerhei, Ph.D., updated the research to account for new developments in retirement savings plans. The most surprising result, he says, was how big a difference there was between the results under old-style voluntary enrollment 401(k) plans and the newer, automatic enrollment 401(k)s with contribution escalation. The finding should reinforce advisors’ efforts to have clients take maximum advantage of their 401(k) plans.